LIC Housing Finance (LICHFL), the home-loan arm of the country's largest insurer, Life Insurance Corporation of India (LIC), has launched two new home loan schemes, 'Bhagyalaxmi Plus' and 'New Fixed 10' on September 03, 2013. Under Bhagyalaxmi Plus scheme, home loans will be given to those women who will be the sole owner or first owner to buy a property, at a fixed rate of interest of 10.35% for loans up to Rs 75 lakh for the first two years, and floating rate thereafter. 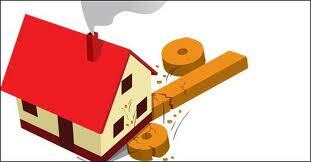 Moreover, borrowers would get a discount of 0.25% throughout the loan term on conversion to floating rates. Besides, the 'New Fixed 10' scheme comes with fixed interest rates for 10 years, out of which first 5 years would carry a rate of 11.50%, for loans up to Rs 75 lakh. The scheme offers customers the flexibility to exercise an option after 5 years to convert their loan into floating rates prevalent at that time.